The Yamaha CVP-709 – “Real Grand Expression” Sound, touch, pedals–perfectly integrated to give you the sensation of playing a grand piano. 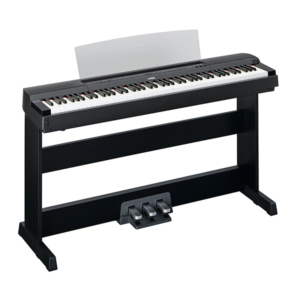 The CVP-709 offers a great new feature called Piano Room that you can use when you really want to concentrate on piano performance and savour the piano sound. 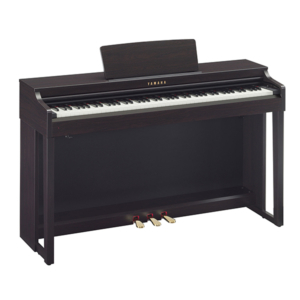 You can select from among four types of pianos – grand, pop grand, upright and honky-tonk – and also a playing location, such as concert hall, cathedral or stage. 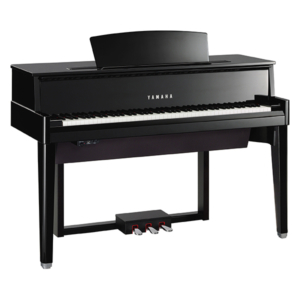 Instantly, the tone quality changes to match that piano and place, giving your performance a totally different feel. When you’re playing the grand piano or pop grand, you can even choose to have the “virtual” piano lid open or closed. You can enjoy karaoke backed up by songs stored in your Clavinova or downloaded from the internet. The lyrics are shown on the display*, and the letters change colour as the song advances, so it’s perfect for bursting into song. Display the lyrics on a big TV screen so everyone can join in and the party will pick up steam. * Only if the song data includes lyrics. Vocal Harmony 2 (VH2) offers advanced sounding harmonies. It lets your vocals enrich with the lush harmonies of a chorus, applied to your singing voice. Also VH2 provides matching effects like Delay or EQ on your songs easily, so you can enjoy your vocal performance much more. 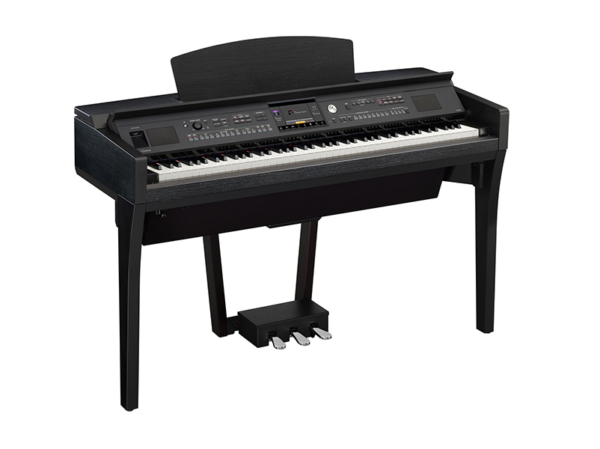 Yamaha AvantGrand N1. 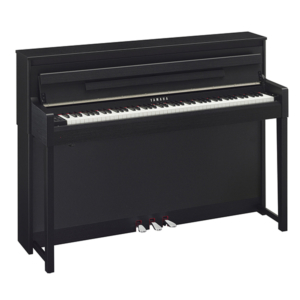 The latest addition to the range, the N1 delivers the captivating sound of AvantGrand in its simplest form. In terms of playing feel and responsive action, the N1 is simply incredible, setting a new standard with its perfect integration of acoustic and digital technologies.